When I was a wee lad, in the long-long ago era of the mid-90’s, walking into a store and seeing an expansion pack for a game I liked was a thrilling feeling. Knowing that for a fraction of the cost of the original game, I would be able to experience new weapons, new classes or units, and new missions. Brood War, Opposing Force, and the fifty different expansions for Duke Nukem are ones that spring to mind, but there were many more. Then high-speed Internet became ubiquitous, and the gaming companies discovered a whole new way to provide new and exciting content for their customers. No longer would we have to wait months for a deep, polished, and worthy addition to our favourite game. We, as consumers, could download it right to our machines and get that new content right off the bat. Then Horse Armour happened, and “expansion packs” became DLC. Rather than releasing a complete package in one go, the evil gaming corporations found out they could make far more money by releasing little tiny pieces, bit by bit, for more money. Instead of an entirely new campaign, we got new outfits. Instead of a whole new class of character or group of units, we got new skins for our weapons. As a gamer, this infuriates me, but as somebody who grasps basic business concepts, I understand. If you can charge people small increments of cash for what is essentially the same content they already own, why wouldn’t you do it? 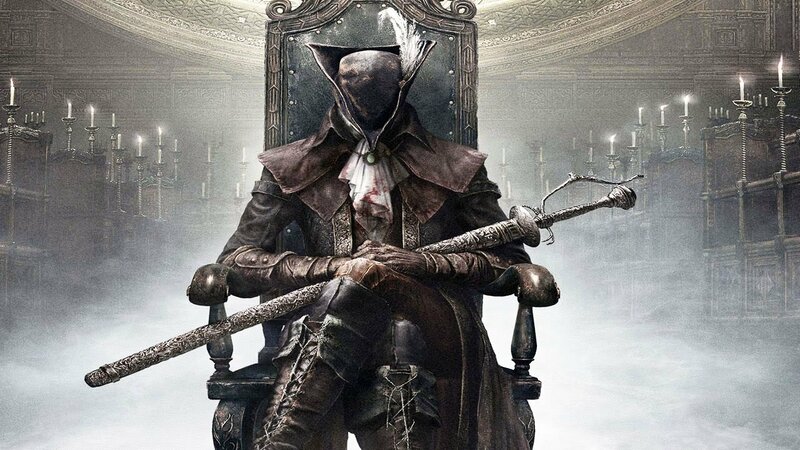 Luckily, the team at FromSoftware seems to empathize with gamers who are frustrated with the ever-increasing cost of BS non-content and released an expansion that would fit right at home in the bygone era of getting your money’s worth for new content. 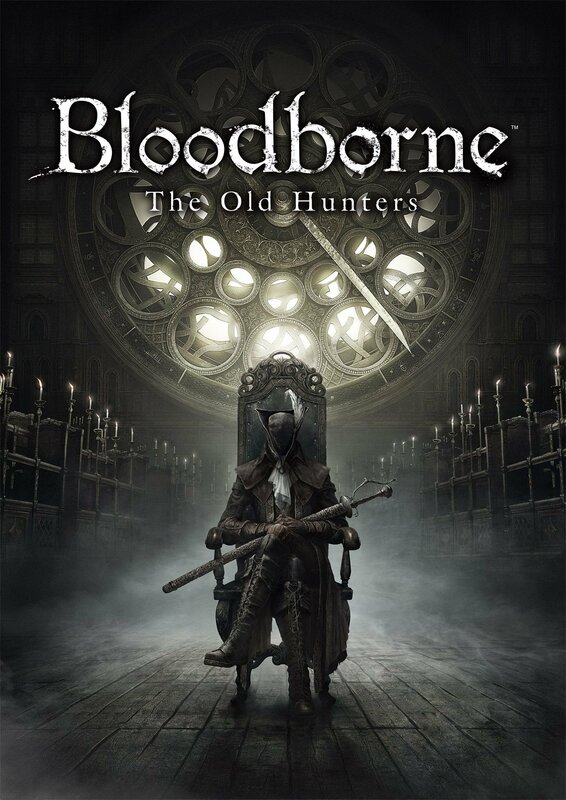 The Old Hunters is the first, and as far as we know right now the only expansion we’ll be getting for Bloodborne, but luckily it’s got enough to warrant the $20 price tag. The expansion features both new locations and twists on old ones, fresh enemy types to battle, some of the toughest boss fights in the game, and most importantly: new weapons. We’ll start with the new locations. The gore-soaked gothic atmosphere of the original game is carried on in the expansion with plenty of black, oaken buildings, and ornate crenellations lit by eerie, eldritch lanterns featuring nasty looking medical equipment and corpses. Endless corpses. There are so many piles of bodies in the first half of The Old Hunters that it gets to a point you barely notice it anymore. Several of the new locations will tug on the nostalgia strings of Souls veterans, including a stunningly gorgeous and creepy hospital (complete with moving staircase) and rotting village that boasts a strong similarity to Blighttown. One of the major complaints levied against Bloodborne was the lack of variety when it came to the weapons. 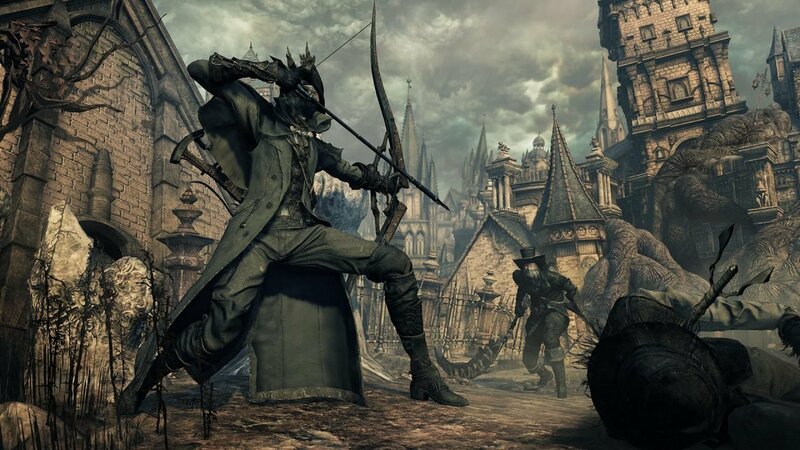 The previous games were famous for touting endless varieties of weaponry to suit any play style, but Bloodborne really boiled down to the same basic mechanics no matter which armaments your character was packing. The Old Hunters gives players ten new trick weapons and five new firearms, and the developers were definitely focused on variety this time. There’s something here for every build, whether you want a strength based rocket hammer to smash enemies, a sword that transforms into a bow (finally) for you skill builds, or a giant, blood-fueled mace with a crazy Frenzy attack if PvP is more your thing. However, From is keeping to their restrictive options for leveling these new toys, with only one blood rock available to fully complete your chosen tool. So choose wisely. Difficulty wise, The Old Hunters (along with the base game) is one of the easier entries in the Souls series. Players who thought that Bloodborne was too easy won’t find anything extreme in this expansion to really test them, but the DLC does boast two of the toughest bosses to be found in the game. Your first battle with the legendary Ludwig (of Holy Blade fame) will definitely have you coming back a few times, along with one of the latter bosses who is also a rather difficult battle. 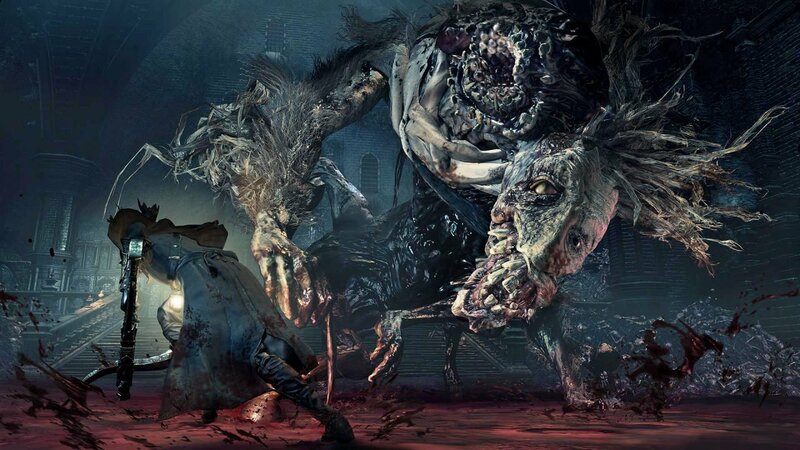 However, Fume Knight they are not, and despite being a tough fight by Bloodborne standards, the bosses are not “pull your hair out and throw the controller at the TV” challenging. My only real complaint with The Old Hunters is the length. Depending on how you play it, you can easily finish the entire thing in under a few hours. Of course, as with any game like this, there is plenty to explore after all is said and done, and with the amount of new weapons and armour available (and the usual hunting for upgrade materials), there’s still tons to do once you’ve beaten all the bosses. Either way, The Old Hunters is a worthy expansion, and shows what DLC can still stand for, despite the market being flooded with garbage. If you liked Bloodborne, or just can’t wait until Dark Souls 3 drops in March, it’s no question that you should go and grab this. 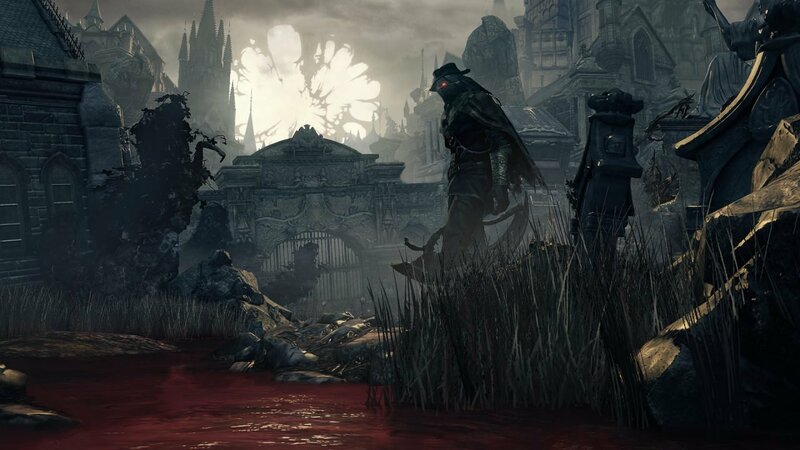 One of the major complaints levied against Bloodborne was the lack of variety when it came to the weapons.